My husband is traveling on business this week and when he is away my dinner plans usually consist of light fare. My favorite is soup and I don't get to have it for dinner often because he doesn't consider it filling enough to be dinner - not enough food he says! 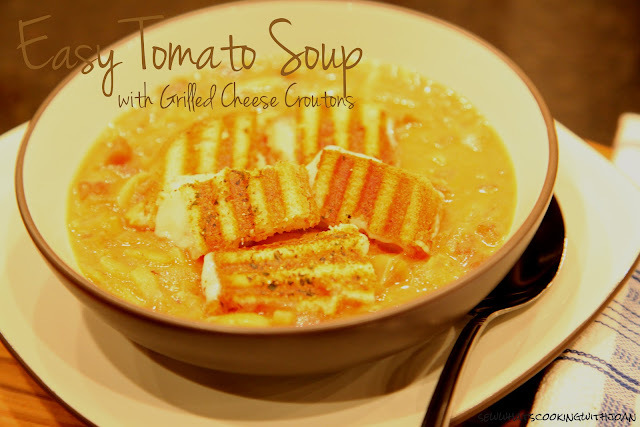 I think this soup is plenty hardy with the addition of the grilled cheese croutons. It's basically a grilled cheese sandwich (using Gruyere cheese...uh yum!) but cut up into crouton sized pieces and garnished atop the soup. I adapted this recipe from Ina Garten. I had all the ingredients on hand except the saffron, so I left that out. It also calls for Orzo (which I had) but in a lemon garlic infused flavor, so I threw a half cup of that into the soup. The original recipe calls for plain orzo, but I think the lemon garlic added some unexpected yet delicious zing to it. 1. In a large pot or Dutch oven, heat the olive oil over medium heat. Add the onions and cook over medium-low heat for 15 minutes, stirring occassionally, until golden brown. Add the garlic and cook for 1 more minute. Stir in the chicken stock, tomatoes, saffron, 1 tablespoon salt and 1 teaspoon pepper. Bring the soup to a boil, then lower the heat and simmer for 15 minutes. 2. Meanwhile, fill a medium pot with water, add 2 teaspoons salt and bring to a boil. Add the orzo and cook for 7 minutes. (It will finish cooking in the soup). 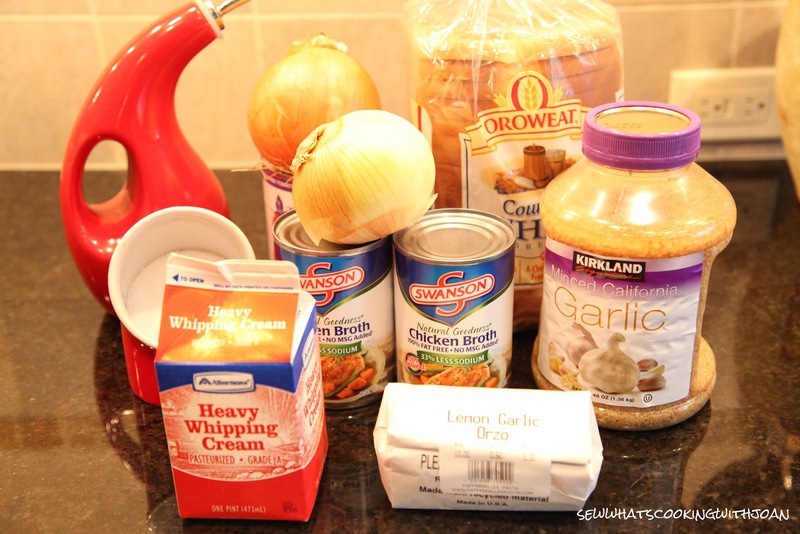 Drain the orzo and add it to the soup. Stir in the cream, return the soup to a simmer and cook for 10 more minutes, stirring frequently. 3. 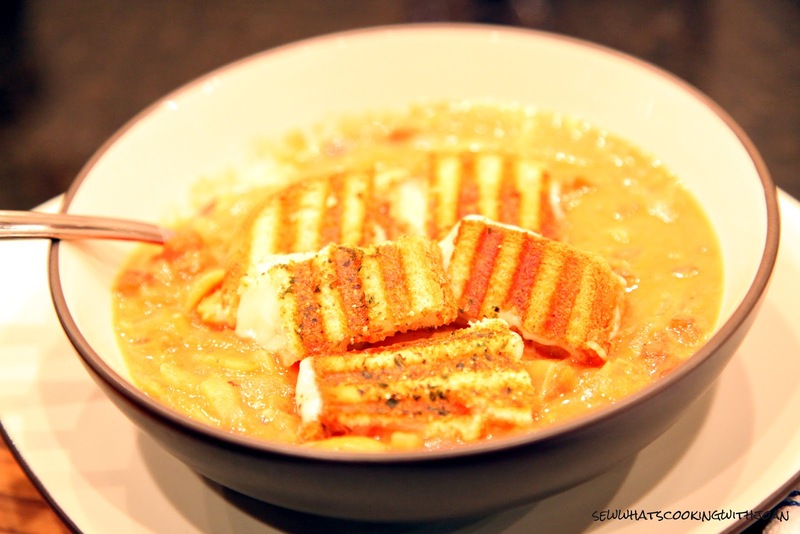 Serve hot with grilled cheese croutons scattered on top! I'm excited for my Christmas Cookie blog in the coming weeks! I picked up some really cute Christmas picks at Michaels this week that I plan on using to decorate my cookie boxes. They were having a SUPER sale on all things Christmas with 50% off, so I snagged these picks for .75c!! They will dress up your holiday packaging, be it gifts for under the tree you are gifting others with or to dress up your baked goods that you are giving away to neighbors or friends. Hope everyone is enjoying the holiday season!! 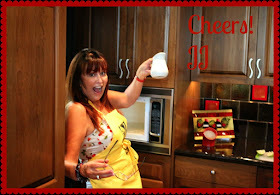 Come back Monday for a post from JJ!